2 Cards. 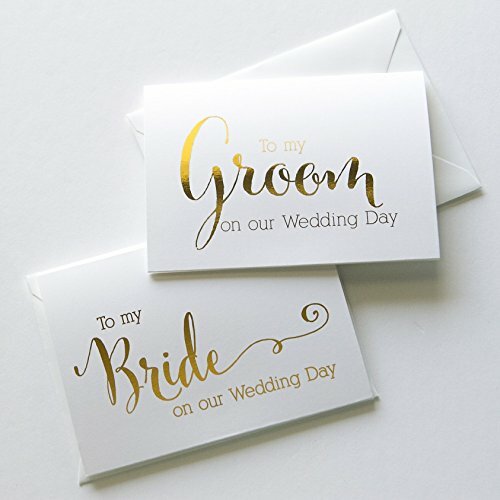 1 “To my Bride on our Wedding Day” and 1 “To my Groom on our Wedding Day.” Cards are foiled by hand with real gold foil. 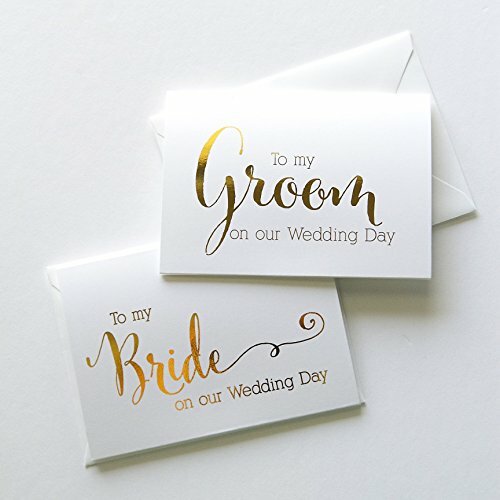 They measure 3.5″ x 5.” This is the same size as a small standard thank you card.